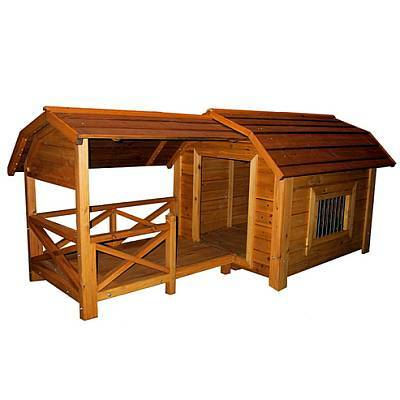 Doesn't your "best friend" deserve the best doghouse you can easily build for him or her? 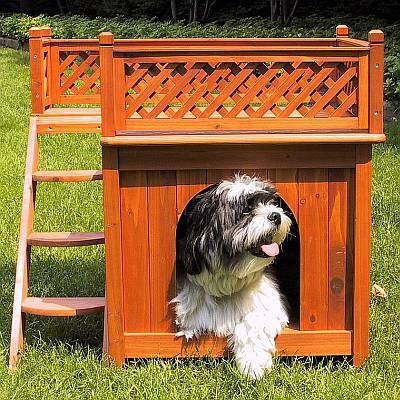 Our Dog House Kits are made in with your pet in mind. If you want classic design or a slightly more modern touch we have some of the most desirable designs in the industry. A dog house also satisfies your dogs need to nest and provides a safe and secure environment for them while you're away or at home. 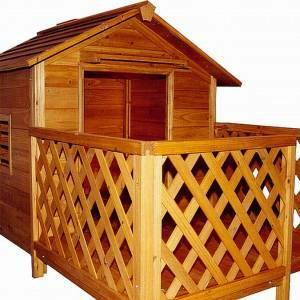 Many kits have ptions for doors, decks or porches are available to make this the perfect home for your pet. We know that providing protection from the elements for your pet is very important to you. 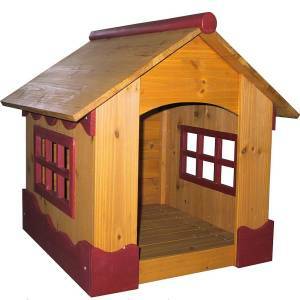 Some of our dog houses can be used both indoors as well as outdoors. 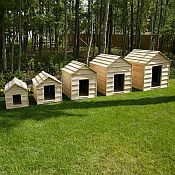 Sizes: Dog house sizes to fit any size dog: Toy, Small, Medium, Large or Extra Large! Skill: You can assemble a doghouse with minimal skill or exertion. One manufacturer says their kit requires about 30 minutes to complete, using only a screwdriver and hammer. The more elaborate kits may call for a power screwdriver and a couple hours. We strive to deliver the best customer service at the best prices found on the web and delivery to your door. No need to drive around or tote heavy boxes!